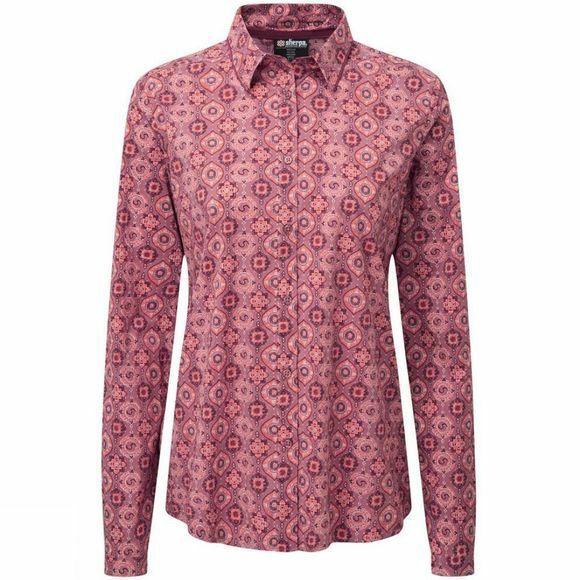 Breezy but surprisingly burly, the Womens Chakra Long Sleeve Shirt from Sherpa, with its delicate Himalayan inspired print and feminine pleating details, hides a host of protective features. It incorporates Polygiene technology, which utilizes natural silver salt to inhibit the growth of odor-causing microorganisms, so it doesn’t stink. It’s UPF rated to 50 and has an invisible pocket on the side seam. It’s lightweight, wicking and breathable.